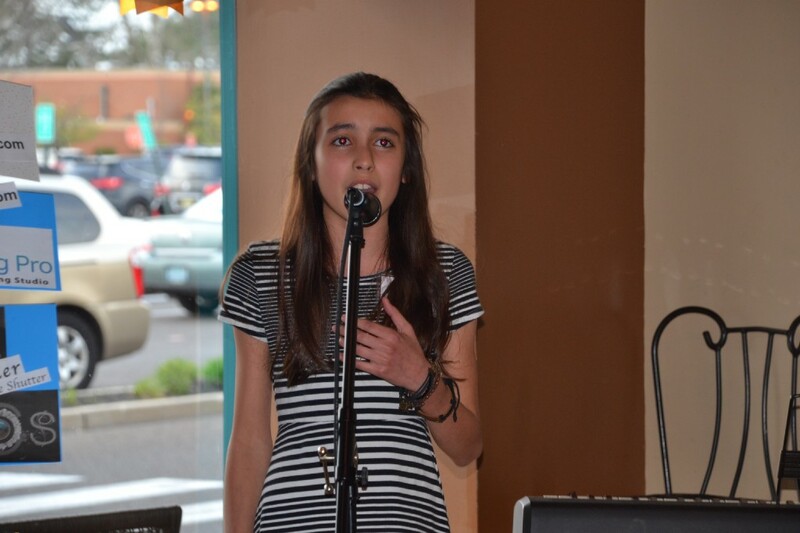 It’s never too early to start following your dreams, as the young talent who performed at Coffee Works on April 13 made abundantly clear. 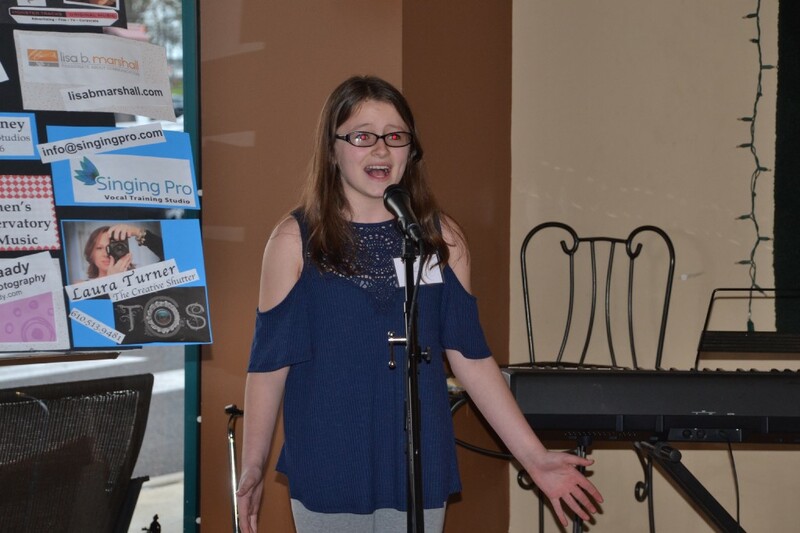 Amanda Rose Kipila took home first prize in the 10–12 category for her performance of ‘What it Means to Be a Friend’ from the musical ’13.’ No stranger to the stage, Amanda performed in a show for seven weeks at the Pines Dinner Theatre in Allentown, PA. The coffee shop hosted the “Voices A-Loud” talent show for singers and musicians that ranged from ages 10 to college students. It was put together by Renee Bussey and Lisa Marshall from the Creative Arts Summer Theater organization. 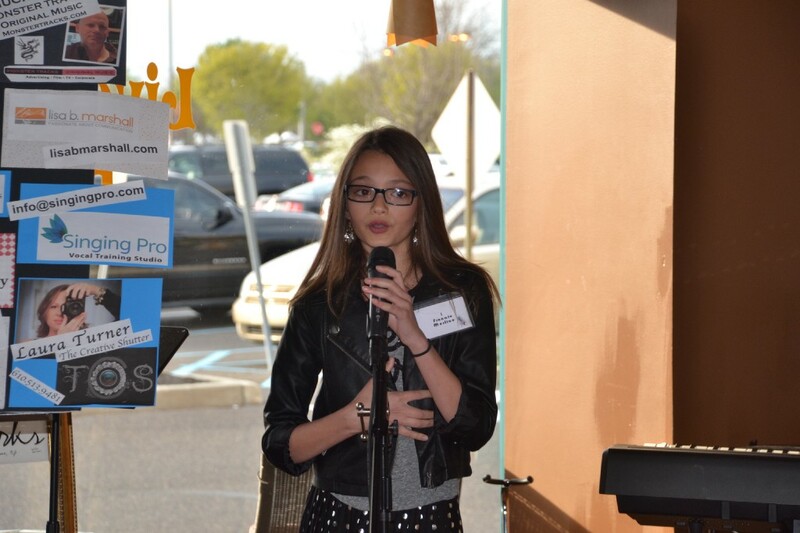 The event was to raise funds to give aspiring performers scholarships to continue pursuing their dreams. “We wanted to create a talent showcase for kids in the area to give kids looking to develop their skills an opportunity to perform,” Marshall said. Ariana Velasquez performed ‘I Know Things Now’ which is performed by Little Red Riding Hood in the popular musical ‘Into the Woods.’ For her prize, she will receive a month of music lessons from Cohen Conservatory. Approximately 30 young performers showed off their talents by singing, playing the keyboard and even the ukulele. The overwhelming majority of contestants said they have been musically inclined for as long as they can remember. Frannie, who wants to be an actress when she grows up, kicked off the show with a performance of Justin Bieber’s “Baby,” complete with a rap breakdown. The talent was divided into three categories; ages 10 to 12, 13 to 16, and 17 to college. In the ages 10 to 12 category, Amanda Rose Kipila won first place with her rendition of “What It Means to be a Friend” from “13” the musical. There were 16 competitors in the category. As a prize, Amanda will receive two professional headshots. “I connect to the character who sings the song [in the musical],” Amanda said. Previously, Amanda has performed at Pines Dinner Theatre in Allentown, Pa.
Kate Bove took home third place in the 10–12 category for her performance of ‘Honey Bun.’ She beat out 14 competitors to win professional headshots at The Creative Shutter. All winners will receive professional headshots. Honorable mentions went to Ariana Velasquez, Charlotte Bazzle, Kayla Parker and Sahdahya Addy. Both winners will receive two hours of recording studio time with professional composer Chuck Butler in his Center City Philadelphia studio. 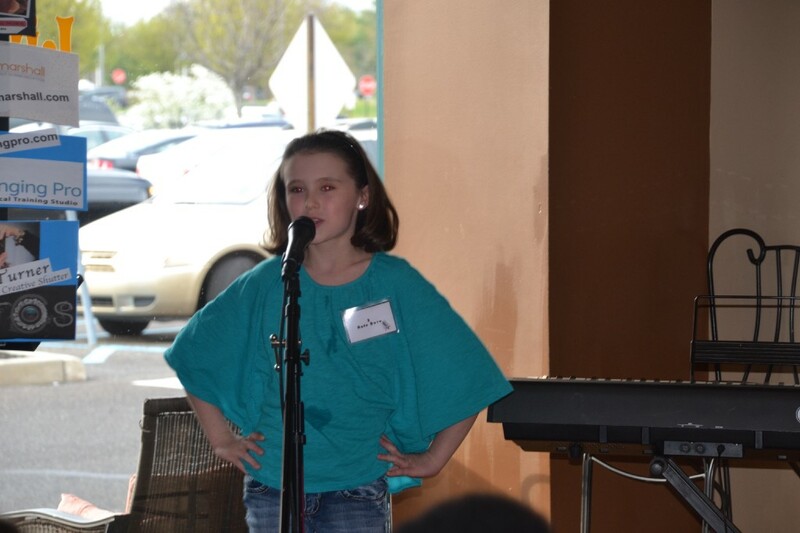 10-year-old Frannie Merlino kicked off the talent show with her rendition of Justin Bieber’s hit, ‘Baby.’ This was Merlino’s first open mic talent show, and she said she wanted to push herself to perform more. When she grows up, she said she would like to be an actress. Second place went to Ashleigh Neilio. Danielle London, Kaya Robinson, Kaleigh Robinson, and Grace Pehrman received honorable mentions. In the 17 to college age category, Zachary Robert Taglioli took home the top prize with his performance of “This is the Moment.” Zachary will receive career consultation from Butler. Abigail Simbiri won second place, and Stephanie Meell received an honorable mention. Bussey is always looking to create opportunities for young talent on behalf of Creative Arts Summer Theater. The camp is accepting donations on its GoFundMe page, GoFundMe.com/castnj. For more information on the camp, visit castnj.com.